It was early December 2018, and I was in Shrewsbury Library filling a rare empty half-hour between appointments. I often gravitate to a particular reading room in that library – covered in graffitied wood from its days as a boys school. Giving in to my fondness for ancient cultures, I chose a book of medieval art and sat down to browse through its pages. Close to the beginning of the book I found a map of Europe. 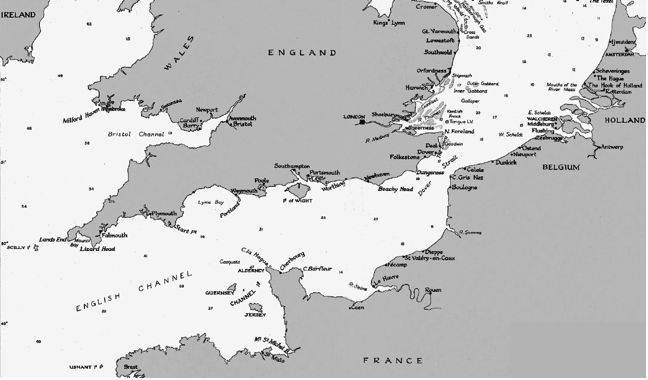 I looked at it carefully, and the longer I looked at it the more I saw the print of the UK on the coast of France and the other countries along the Channel – and their imprint on us. Geologists have long known that the two land masses were very recently (at least in geological time) connected. Having trained as an archaeologist, I understand that our island has been host to many groups of people, some coming for peaceful trade, others for violent colonisation. Since we became bipedal, humans have always travelled, always immigrated and emigrated. Borders, even watery ones, are human constructs that cannot prevent natural processes. Work on DNA from ancient populations confirms that people in the UK were diverse long ago, as they are now. This is a strength we have benefited from for millennia. Our technology, commerce, music, art, literature, language – all have been enriched by it. The longer I looked at the map on that December day, the more the sadness I feel about Brexit became imbedded in the undulations of our coast. It reminded me of the way a long-worn ring leaves an indent on the finger. Or the way hands, used to being held, must curl in on themselves in the absence of the other. 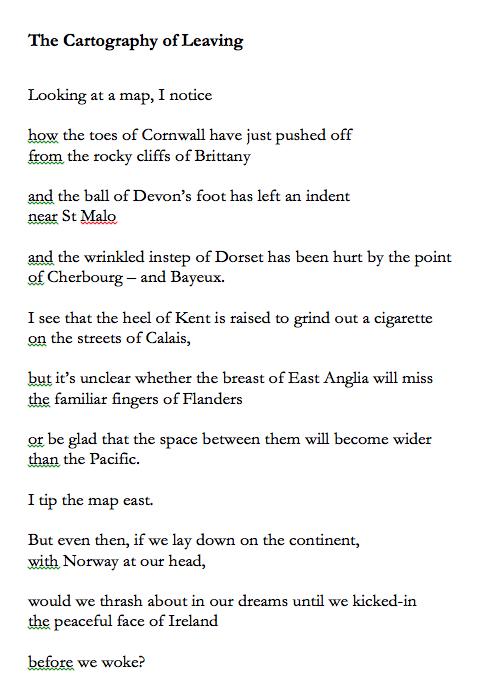 This poem is the result, and now is published in the New European magazine, in a week when the members of parliament are set to make decisions that will determine the nature of our borders for many years. But the fact of our common bedrock remains. We will always be connected, no matter what some self-interested, power-hungry politicians would have us believe.